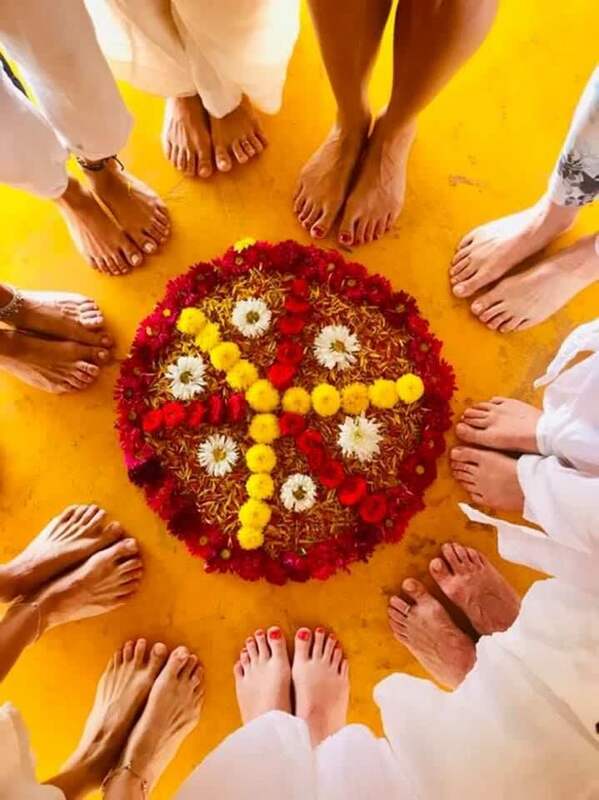 You have completed a 200-hour yoga teacher training course and you are considering advancing your teaching and completing a 300-hour teacher training course to become a 500-hour registered yoga teacher. Here is my advice on how to go about choosing the right course and what to consider. Why do you want to do the course? Completing a 300-hour course is a big commitment in terms of time and money so you have to make sure you are clear on the reasons why you want to do it and why you think it will benefit you and your teaching. You then need to ensure that these positives outweigh some of the negatives including the time commitment, hard work and expense. You also have to consider when it is the right time in your life to complete the training. For example, if you have a lot on this year with teaching yoga on top of a full-time job, renovating your house and getting married, this might not be the time to complete your further training and you might want to do it when life is a bit quieter. There will always be training courses there for you so you can do it at the time that is right for you. You must have completed a 200-hour teacher training course before you can complete your 300 hours. It is advisable to have some experience of teaching before completing the 300-hour training course. There was a lot to learn on the 200-hour course and it takes time to put that into practice and learn how to use the skills you learnt. I personally learnt a lot over the 2 years of teaching and the practical experience was very valuable. It takes time to find your own unique style and voice as a yoga teacher. For many, including myself, it takes a while to build up a good level of confidence. You would develop more confidence on the course through the exercises you do but you need longer than a month to build it up. Even though I had experience of teaching and don’t get nervous when I teach my classes, I sometimes felt a bit nervous about the teaching exercises on the course because the environment was quite different. I imagine I would have been more nervous had I had less teaching experience. There is a lot to learn on the 300-hour teacher training so I personally would already like to have the confidence to teach so that I have a solid foundation to build from. Most of the students in my class had prior teaching experience so if you didn’t, this could then be a knock to your confidence if you felt less experienced than your peers. Through teaching you have experienced real life examples of different situations so you can relate to the teaching better. You are also able to contribute to the discussions on the course and ask any questions based on previous experience. This is just my personal experience and everyone’s situation is very different. For example, some people may have had a long break from teaching or didn’t teach straight after their 200-hour course and need a bit of a refresher and practice to get into teaching. Doing a course like this could be the best way to get into it. Just like your yoga practice, you are the best person to decide about what is good for you. The advanced teacher training course is aiming to advance your teaching skills so it is not all about advanced yoga poses. Yes, the level of yoga will be high as you will be practicing with other yoga teachers but you are a yoga teacher too so don’t worry that you won’t be as good as other students. You will absolutely be good enough for the course providing you are physically fit and practicing yoga regularly. Unfortunately, injuries happen and you know as a yoga teacher you can modify your practice for them and you can continue to teach if you are injured. You can therefore still complete a yoga teacher training with an injury. You might become injured after you have booked the course. If it is a serious injury and you think it will be difficult to complete the course you may look into deferring or getting a refund. The teacher training courses are expensive and maybe even more so if you are going abroad. Don’t forget to factor in the other costs that go along with going abroad including flights, accomodation, visa, vaccinations, travel insurance etc. You must be able to afford it, you are running a business and have to cover certain costs as part of your business. This is a one-off expense so you need to ensure you have the funds to cover this or need to save up for it over a period of time. In most countries this further training expense (after initial qualification) will be classified as a valid business expense and can therefore be offset against tax. It is advisable to check your local tax rules or speak to an advisor to understand how this is treated, before completing you tax return. Different courses are focused on different types of yoga. Make sure you chose the type that you enjoy and want to teach. I completed my 200-hour training in Hatha, Vinyasa and Ashtanga and then my 300 hours in Vinyasa which had become my favourite style. Whatever style you complete your training in, it doesn’t mean you can only teach this style. You can complete further smaller trainings (e.g. 60 hour) which focus on different styles (e.g. Yin Yoga, Ashtanga). The course must cover 300 hours of training but you can choose a course that spreads it over an appropriate time frame. As standard this could be from as short as 1 month or to a period of 2 years and other time frames in between. Clearly to fit in the same content, a 1-month course will be much more intense than a 2-year course. I completed a 1-month intensive course where I spent 4 weeks in mandatory classes from 6.30am – 7pm, 6 days a week. This was a lot to take in in a short period of time but this was my preference because I just wanted to take the time off work and immerse myself in it for a few weeks without the distractions of a full-time job, my usual yoga classes and my busy life in London. This worked well for me but many people cannot easily take this time out of their lives or don’t enjoy or find it difficult to take in so much information in such a short period of time. An option of doing the course for maybe one day a week over a longer period could be a better option. You can complete the training courses in many places abroad. Popular options include India, Bali, Thailand and countries in Europe. You may want to go abroad to escape life at home for a bit and immerse yourself in the training, you may just want a change of scenery and experience a new/different place, maybe you are completing the trip as part of a bigger period of travel. 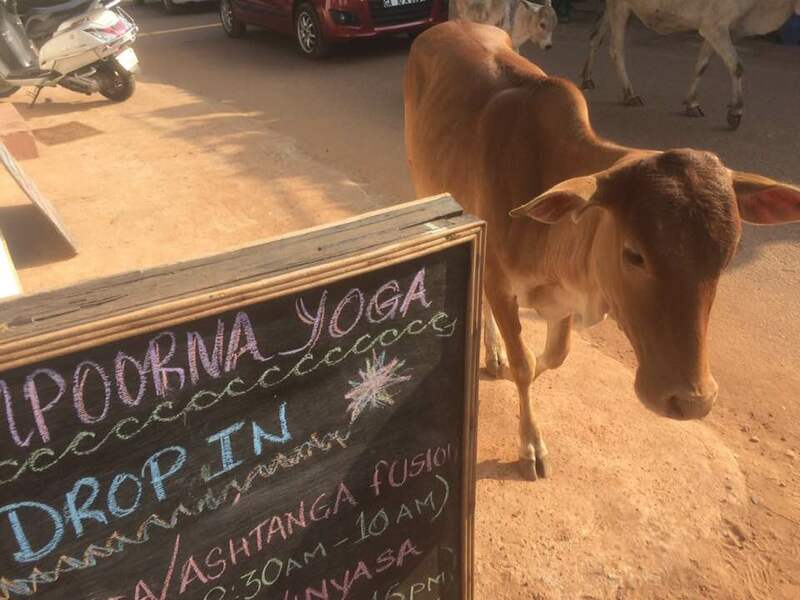 Perhaps you have a desire to learn about yoga from that location and this is often a reason why India is a popular choice as you are studying yoga in the birth place of yoga. 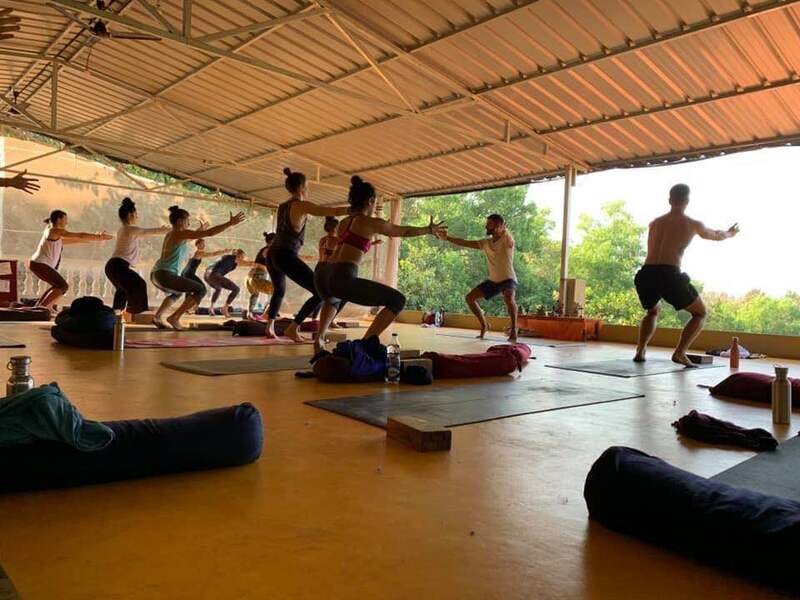 I really liked this idea which was one of the reasons that led me to go to Rishikesh, North India for my first teacher training. I fell in love with India so I was keen to go back to complete my further training there. 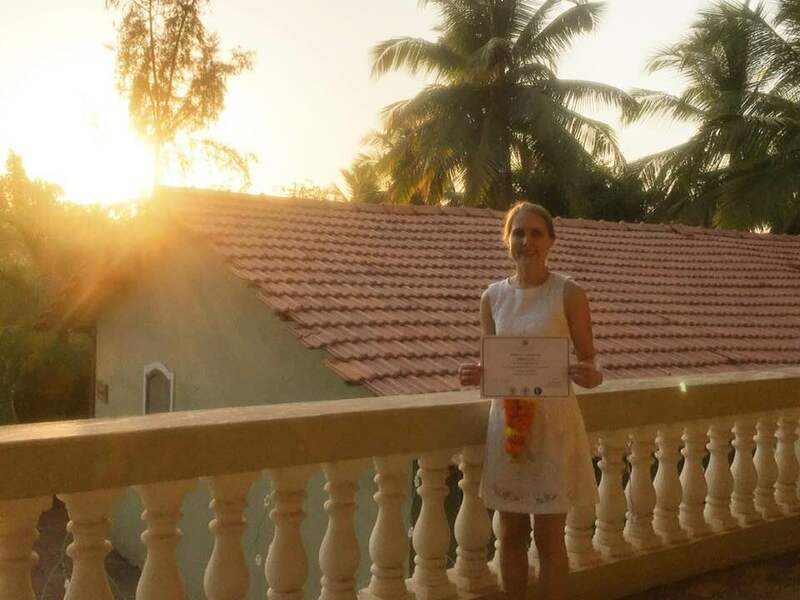 I decided to complete my second training in Goa so that I could experience South India. Alternatively, you might complete the course near home and this is likely to be the best option if you are completing the course over a longer period. Even if you were doing an intensive course this might be a better option if you were reluctant to be away for so long, for example if you had commitments such as children. Everyone will have personal preferences about where they want to study the course and sometimes it is financial reasons. Even with the additional costs of travel, sometimes courses abroad can be cheaper than in Europe. 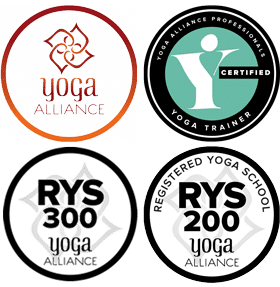 Check your course is Yoga Alliance registered. This will then mean your qualification recognises that you have completed a certain standard of yoga teacher training at a Registered Yoga School. There is a list of registered schools that you can use to check the school you are considering completing your training with. Once you know what type of training you want to do, in terms of the length of time you want to complete the training over, where you want to complete it and the style of yoga you want to focus on do lots of research! This can include internet research, reading reviews and speaking to other yoga teachers to hear about their experience and where they did their training. Check the course content, typical timetable, teacher profiles, class sizes, how long the company has been operating etc. I did a lot of research for my 300-hour training. 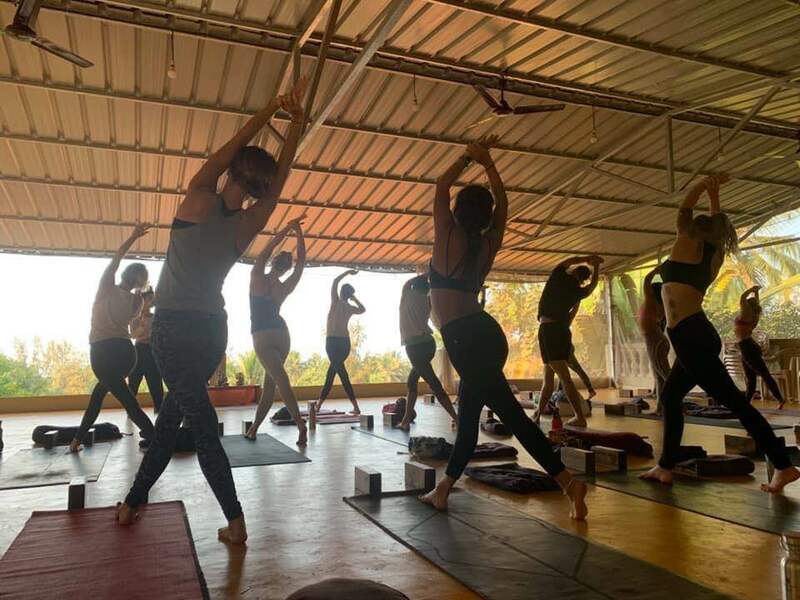 I knew I wanted an intense month-long course in South India and focus on Vinyasa so I did research into Yoga Alliance registered courses using these criteria. Sampoorna yoga really stood out for me as the website was professional, easy to follow and find the information I needed. I liked that I could see reviews from other students as well. When I started communicating with the school, I was impressed at how quick they were to respond and provide the information I had asked questions on. Once I booked the course I also started to hear about other people who had had good experiences with having done training with Sampoorna and I am now one of them. Sarah Williams is a Qualified Yoga Teacher based in London with an online presence @sarahlucyyoga on Instagram and Facebook. She also blogs about yoga and health & wellbeing topics on her website. 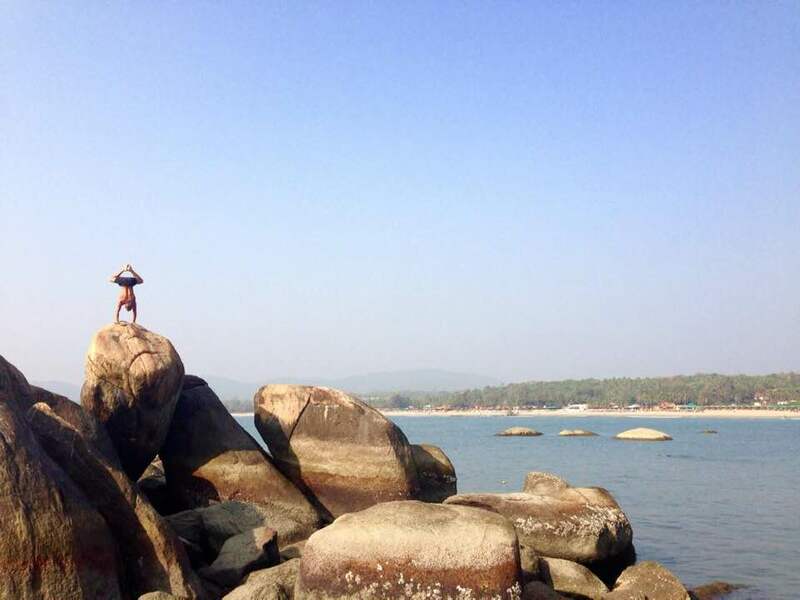 Sarah’s focus is Vinyasa Flow, Hatha and Ashtanga styles of yoga and she completed part of her training in India. As well as being a yoga teacher Sarah is also a Chartered Accountant. 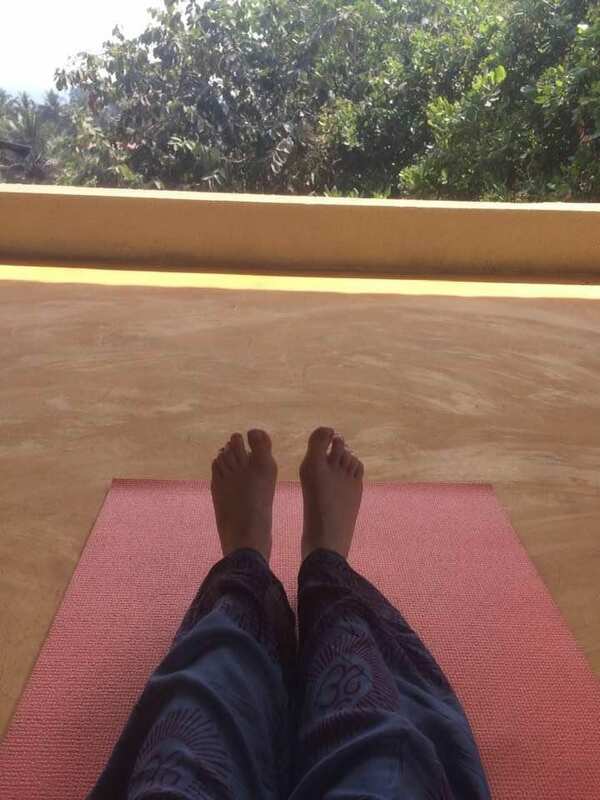 She fell in love with yoga as it was a release from the office, it taught her to value her health and improved the attitude she had towards life and herself. As a teacher she is able to pass on the benefits of yoga to her students and finds the job incredibly rewarding. 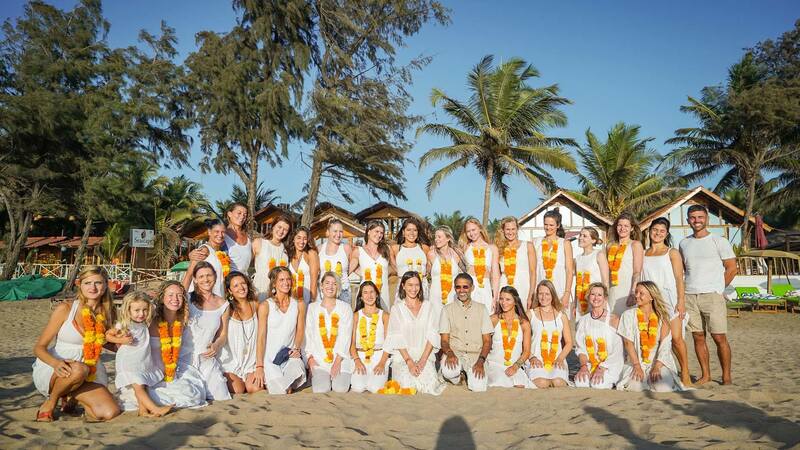 Sampoorna Yoga’s Teacher Training Courses are registered with Yoga Alliance USA & Yoga Alliance Professional UK. When you graduate from our school you will be eligible to register with them as a RYT, Registered Yoga Teacher, in your respective categories.